Office Space - Accrington, Lancashire. 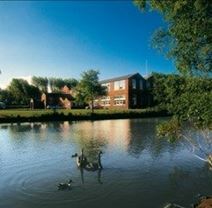 A renovated mill building offering serviced office accommodation in a wide range of sizes, with meeting room facilities. There is a staffed reception and monitored on-site parking. Situated in Oswaldtwistle, a short walk from Church and Oswaldtwistle train station and local shops. There is easy access to the M65.